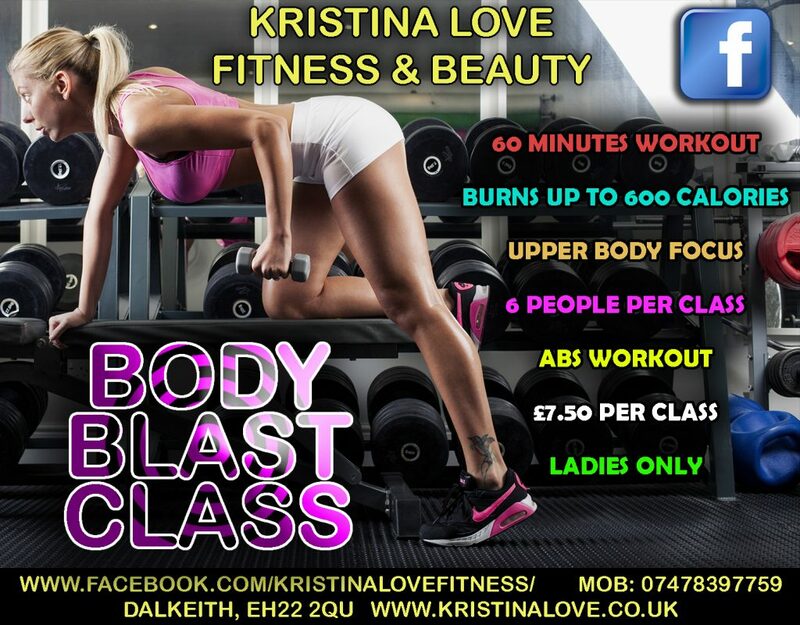 Upper Body Blast Class. Full upper body strength blast including your core, perfect for toning your upper body. Maximum 6 people per class. Cardio Hit Class. 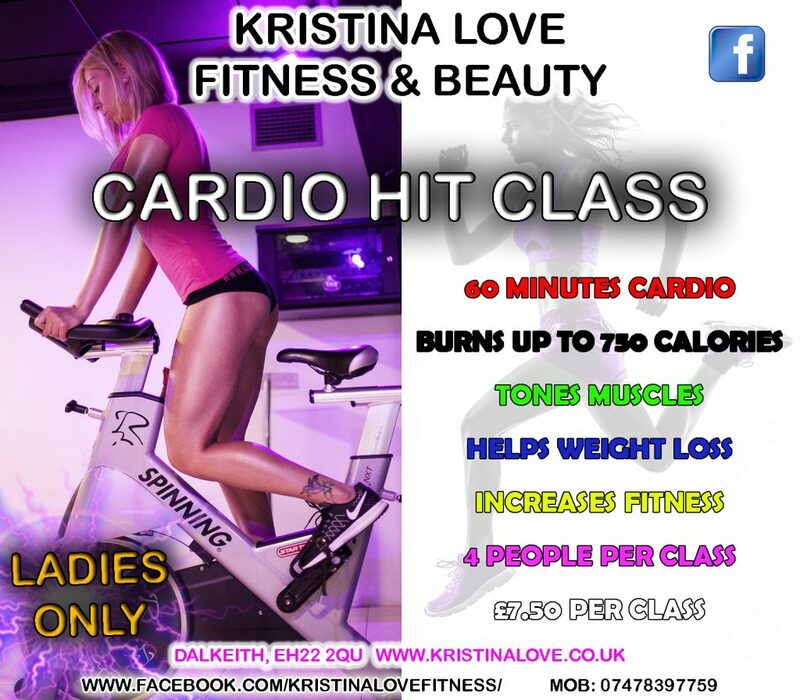 Tones muscles, burns body fat, increases fitness levels. This calorie burner is fun, challenging and burns up to 750 calories. Maximum 4 people per class. 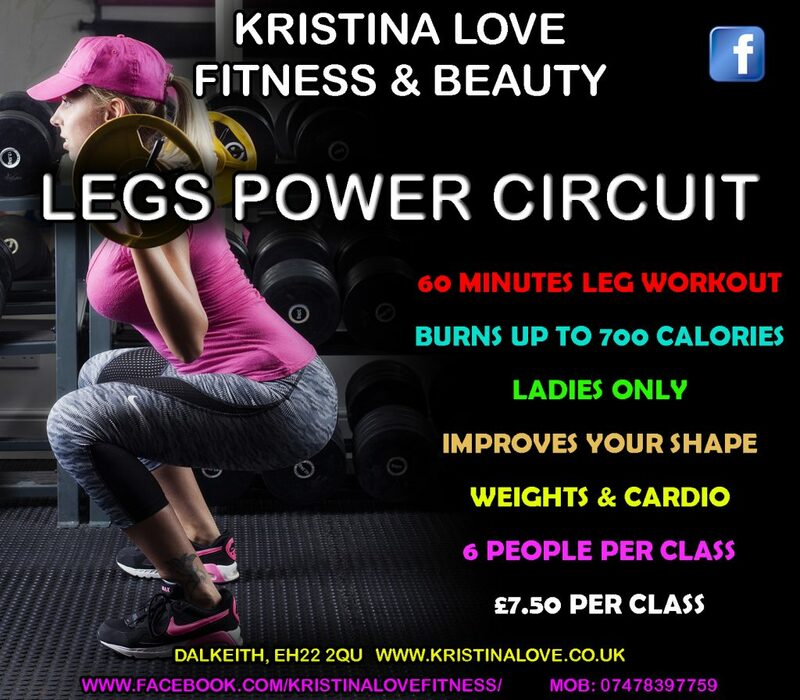 Leg Power Circuit. This legs weights workout is designed to help improve muscle tone and shape in your legs and bum, and also includes a bit of cardio to make you feel the burn. Maximum 6 people per class. Ladies only. £7.50 per class. Booking required. Please message me for class times.